Any dose of alcohol combined with cannabis significantly increases levels of THC in blood, San Diego California lawyers are being told. That is important since a combination of drugs and/or alcohol can be the basis for a San Diego DUI, in addition to drunk driving (alcohol) or DUI – Drugs in California. Cannabis plus alcohol is one of the most frequently detected drug combinations in car accidents, yet the interaction of these two compounds is still poorly understood, San Diego DUI attorneys reiterate. Cannabis-alone driving is fine, as long as your driving is fine. If you smoke marijuana before driving, can you be prosecuted for DUI in San Diego, but that does not mean you will be convicted. You can be arrested for a San Diego DUI (Drugs) – whether medical marijuana or not – but you cannot be prosecuted for having a minimum amount in your system, lawyers say. Impairment by Marijuana has been tough to establish. “The relations between a drug’s presence in the body, its concentration, measured in blood, breath, saliva or urine, and its impairing effects are complex and not understood well. A drug may be present at low levels without any impairing effects. Some drugs or metabolites may remain in the body for days or weeks, long after any impairment has disappeared (Berning et al., 2015; U.S. Government Accountability Office, 2015). In particular, marijuana metabolites can be detected in the body for weeks after use (Berning and Smither, 2014). On the other hand, concentrations in the body of some drugs decrease rapidly while impairing effects persist. For marijuana, THC concentrations fall to about 60% of their peak within 15 minutes after the end of smoking and to about 20% of their peak 30 minutes after the end of smoking while impairment lasts for 2 to 4 hours (Kelly-Baker, 2014; Logan, 2014). In addition, individuals differ in how their bodies absorb and metabolize a drug. In experimental settings, wide ranges of drug concentrations produce similar levels of impairment in different individuals (Berning et al., 2015). NHTSA’s observation is generally accepted: “At the current time, specific drug concentration levels cannot be reliably equated with a specific degree of driver impairment” (Berning et al., 2015). A recent study to analyze the effects of cannabis on driving performance found that it caused almost no impairment. The impairment that it did cause was similar to that observed under the influence of a legal alcohol limit. Researchers at the University of Iowa’s National Advanced Driving Simulator carried out the study, sponsored by National Highway Traffic Safety Administration, National Institute of Drug Abuse, and the Office of National Drug Control Policy. “Right now the standards are completely arbitrary. I would argue that they are useless,” Hound Labs Chief Executive Mike Lynn told Reuters, according to Fortune, noting that existing tests cannot determine whether a person smoked an hour ago or 12 days earlier. By the end of 2016, Hound Labs is attempting to come up with a $1,000 combination alcohol/marijuana device, purportedly designed to accurately measure THC levels from smoked pot. However, it cannot provide evidence of impairment by itself. 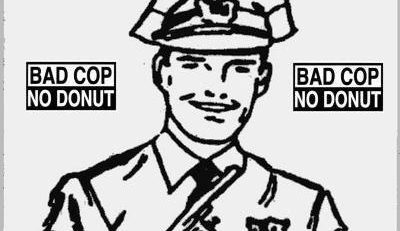 “Currently, law enforcement relies on either blood, urine or saliva samples to test for marijuana usage. However, such methods can’t distinguish between recent use and chronic use. Hound Labs’ idea is hopefully to try to replace a complicated assortment of costly blood and urine tests that can take days to get a result and cannot distinguish between recent and chronic use. In California DUI alcohol cases, a legal blood alcohol concentration (BAC) is normally obtained by a blood or breath test. 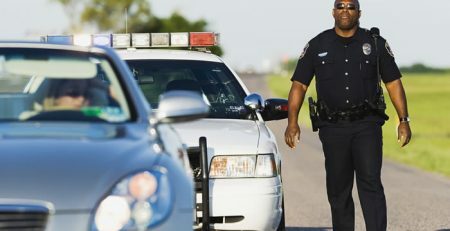 Some California law enforcement officials are presently limited in their methods of detecting drivers under the influence of the marijuana’s main psychoactive component, THC, with no set level of impairment. There is no reliable or easy detection method like a Breath or Blood Test. Drug driving is becoming more of a concern, making DUI stops more complicated for police officers, creating some police confusion with attempts to train police better, according to a recent article in Police Magazine. No matter how trained a police officer is, there are a number of challengin problems in prosecuting a California DUI – Drug case. 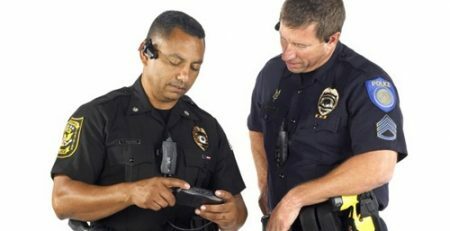 In prosecuting someone for California DUI – MJ or driving under the influence of marijuana, evidence may include patrol car dash cam videos, testimony by drug recognition experts and observations by a law enforcement officer. If a California DUI – MJ level is established, California DUI – Marijuana cases are still tough to prove. One nationally recognized California DUI defense attorney and several studies state that THC processing by the human body is more complicated than alcohol and other drugs. 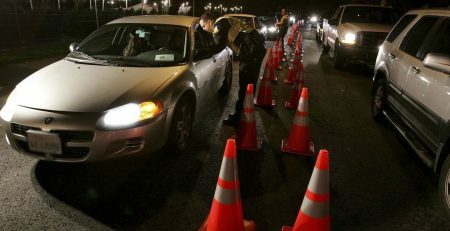 Former president of the California DUI Lawyers Association and current member of National College of DUI Defense, Eureka-based attorney Manny Daskal said some studies have shown that drivers actually exhibited safer driving habits and kept more room between themselves and other drivers to compensate for their impairment, though other studies refute the findings. “Right now the research isn’t there for them to accurately predict when impairment occurs or at what level it occurs,” Daskal said. Regardless of what type of drug a California Highway Patrol officer suspects a driver is impaired by, Humboldt County CHP Public Information Officer Cy May said they will try to perform the same voluntary field sobriety tests. “Usually we’re not sure it’s cannabis,” May said, adding there are allegedly certain giveaway signs. Such signs allegedly include marijuana odor emanating from the car or driver, bloodshot or dilated eyes, and a higher pulse rate. When testing motor skills, May said a California DUI officer can employ a nystagmus test in which an officer moves a finger around the driver’s face and asks the driver to follow it with their eyes. When an officer pushes their finger toward the driver’s face, May said a drug impaired driver will often converge or cross their eyes, but then one of their eyes will go back to normal right away. Another motor skill test employed by the CHP is a Romberg test in which an officer tells the driver to close their eyes for a period and asks the person how much time they think elapsed when the officer tells the driver to open them. “They all may show us signs and symptoms of impairment, but that may not show direct correlation with marijuana impairment,” California DUI CHP officer May says. May said two other signs of THC impairment are a green coating on the tongue caused by smoking and an inability to balance, but California DUI attorney Manny Daskal points out studies have shown that the balance test is the only reliable field sobriety test to detect THC impairment. 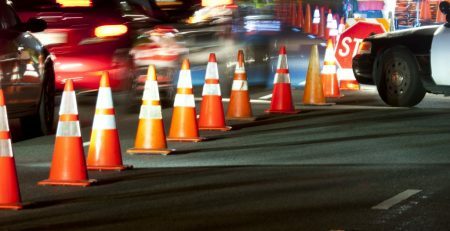 Two studies by the National Highway Transportation Safety Administration released in February found that 12.6 percent of surveyed drivers had evidence of marijuana use in their systems — up from 8.6 percent in 2007 — while those driving under the influence of alcohol dropped by one-third in the same time period. Another study by the administration found that marijuana users were 25 percent more likely to be in a crash than non-marijuana users, but that the increased risk “may be due in part because marijuana users are more likely to be in groups at higher risk of crashes” — such as young men. “When you take all the confounding factors into account there is not much of an indication that marijuana causes an increase of crashing,” California DUI attorney Daskal said. Combination of California DUI alcohol and marijuana cases may be different. 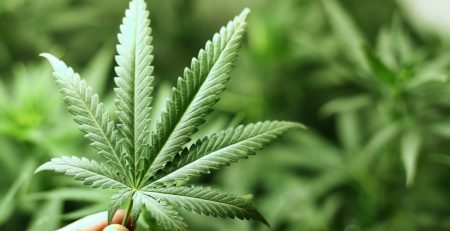 Earlier in 2015, a study appeared online in Clinical Chemistry, the journal of AACC, which purports to show for the first time that the simultaneous use of alcohol and cannabis produces significantly higher blood concentrations of cannabis’s main psychoactive constituent, Δ9-tetrahydrocannabinol (THC), as well as THC’s primary active metabolite, 11-hydroxy-THC (11-OH-THC), than cannabis use alone. 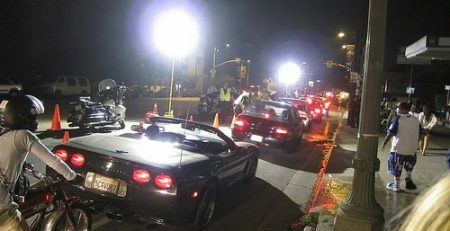 To shed light on the ways in which cannabis and alcohol interact to negatively impact driving, a group of researchers studied 19 adult participants who drank placebo or low-dose alcohol (with a target peak breath-alcohol concentration of approximately 0.065%) 10 minutes prior to inhaling 500 mg of placebo, low-dose (2.9% THC), or high-dose (6.7% THC) vaporized cannabis. The researchers found that with no alcohol, the median maximum blood concentrations for low and high THC doses were 32.7 and 42.2 µg/L THC, respectively, and 2.8 and 5.0 µg/L 11-OH-THC. With alcohol, the median maximum blood concentrations for low and high THC doses were 35.3 and 67.5 µg/L THC and 3.7 and 6.0 µg/L 11-OH-THC — which is significantly higher than without alcohol. Vancouver-based Cannabix Technologies Inc, Colorado-based Lifeloc Technologies Inc and a chemistry professor-PhD student duo at Washington State University are also reported to be developing marijuana breathalyzers. Marijuana DUI proof is still far from reliable. Read here.